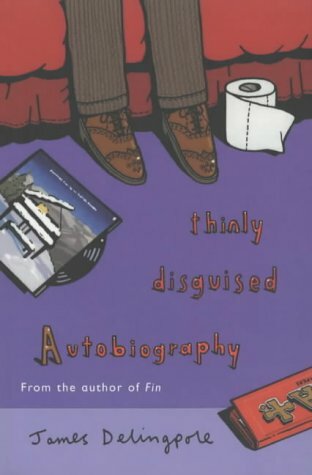 Thinly Disguised Autobiography is a thinly disguised autobiographical account of my life from the time I went up to Oxford in 1984 through to my first few years working as a journalist in what was left of Fleet Street, culminating in the 1992 Los Angeles Riots. In some ways this is the best book I have ever written and the best I will write. It is a masterpiece. Knowing it’s a masterpiece is why I came down very hard at the time of some of sniping critics who just didn’t get this – eg Toby Young – either because they were too stupid or jealous. Read it yourself and you’ll understand. You will like if: you’ve been to or are going to go to university (especially if it’s Oxford or Cambridge); you want to read the best set-piece about Ecstasy in literature, and one of the best about LSD; you’re into what literary ponces like to call “searing honesty”; you want to really get inside a man’s head (see also Fin); you’re interested in life, the meaning of life and the possibility it has no meaning. Oh sod it, just read it. It’s a blooming work of genius. You will dislike if: you’re stupid; you’re chippy; you have no taste. What bothered Toby, I seem to remember, is that it didn’t have the right kind of Oprah-style – “hero learns from his mistake and grows” – narrative arc. But I don’t think life’s like that. It’s much more like this book. You could say the plot is thin, I suppose. I prefer to call it “episodic”.